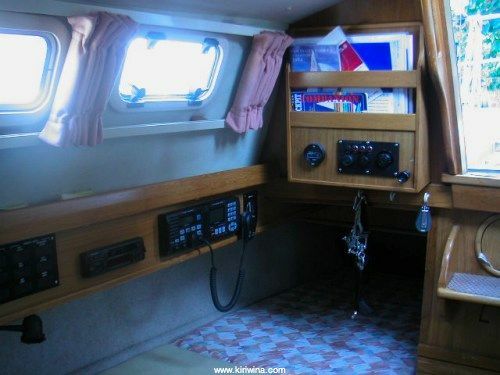 Nav Lights, Tricolour Light, Auto Pilot, Nav Instruments, Freshwater Pump, 12v Sockets, Forward Lights, Instrument Lights. 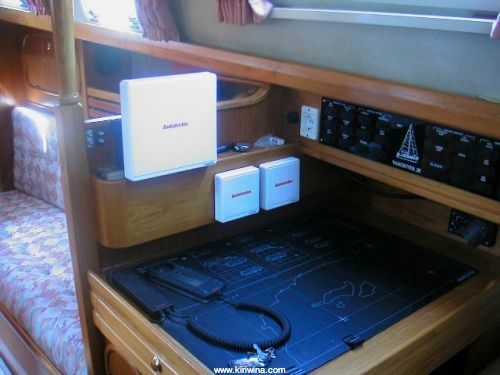 Anchor Light, Steaming Light, GPS, VHF Radio, Shower Pump, Stereo, Acc Port, Acc Overhead. 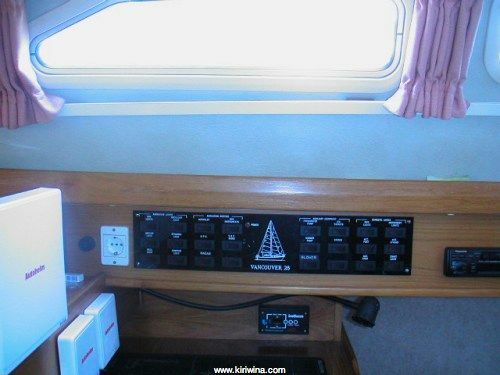 Deck Light, Compass Light, Radar, Blank, ER Blower, Blank, Acc Starboard, Chart Light. 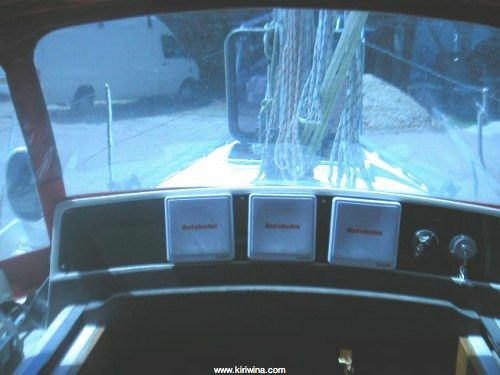 AutoHelm Radar, Instrument Repeater and GPS Display. Autohelm chart plotter. 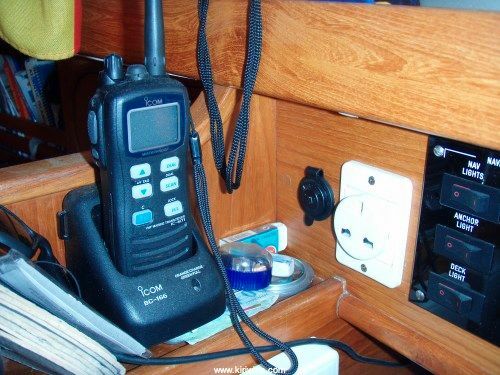 Icom VHF M501 Euro, DSC Controller DS100 and Voltmeter. 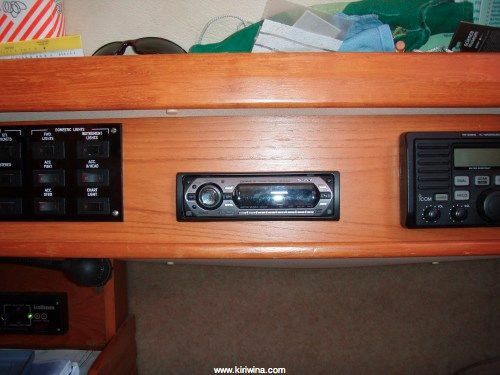 Panasonic domestic stereo. 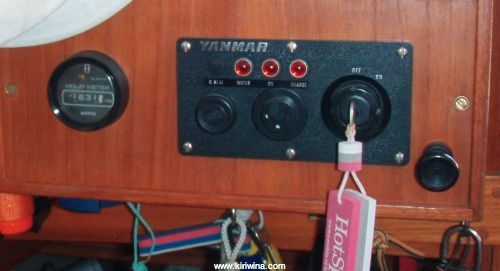 Yanmar Control Panel and Engine Hour Meter. Furuno NX300 Navtex added March 2006. Autohelm Radar failed August 2006. Scanner flooded due crimp in scanner dome drain pipe. Radar somewhat primitive so not worth repairing. 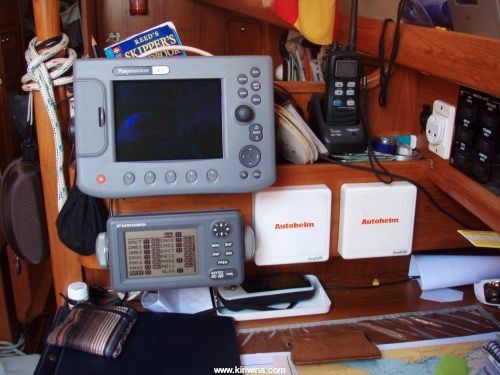 Raymarine C70 Display, Navionics Gold, Charts, Scanner and GPS September added September 2006. 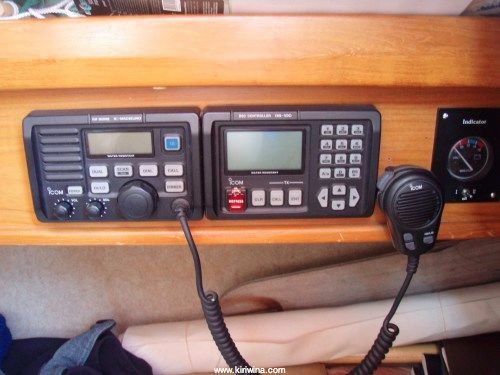 Icom VHF M501 Euro, DSC Controller DS100 and Voltmeter. Icom M71 Waterproof handheld VHF and charger added November 2007. 12v socket, replaced due corrosion October 2010. Sony domestic stereo. I-Pod, LW MW FM, Auxiliary in and CD. Replaced Panasonic Domestic Stereo March 2006. 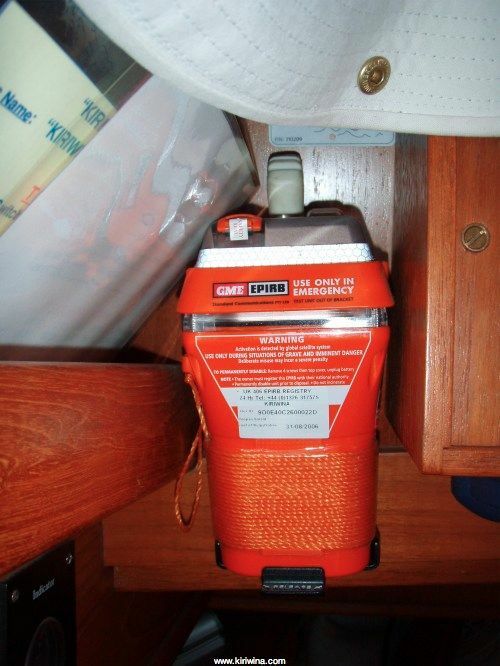 GME Epirb added April 2006.